Another big media departure from Yahoo: David Rice, VP of media properties, has left the Silicon Valley Internet giant to take over as SVP and GM of CBS Interactive Games, according to sources close to the situation. Rice left Yahoo Monday and starts at CBS on Monday, sources said. Earlier this week, the head of Yahoo’s Omg! and Yahoo TV, Liz Coughlin, left to run business operations at next-gen digital content site Young Hollywood. The media properties at Yahoo have always been its most successful and powerful units, including powerhouse sites such as Yahoo Finance and Yahoo Sports. Which is why Rice is a great get for CBS. Hired in 2010 as part of the crew brought in by former Chief Product Officer Blake Irving, the former Microsoft exec was the key media product manager in charge of strategy and execution of Yahoo’s home page, news, sports, finance, entertainment, lifestyle, games and more. CBS Interactive Games is a big digital division at the company, with more than $50 million in annual revenue, 32 million unique monthly visitors and one billion page views a month, according to comScore. GameSpot is its flagship site, along with GameFAQs, Metacritic, ComicVine and a variety of video streaming and eSports offerings. Rice will be in charge of all operations at CBS Interactive Games — at Yahoo, he had only media product duties, although the many properties are all huge. 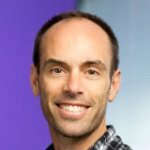 In a related move this past week, new CEO Marissa Mayer hired former Google sales exec Henrique De Castro to become COO at Yahoo. Mayer also told staff that all media units would report to him.